This is episode 13 and I am happy to have with us today Damien Dhellemmes is the Country President for Schneider Electric Singapore. In this role, Damien is responsible for the alignment of corporate strategy and business orientation, as well as oversight of all commercial initiatives, operations and implementation. 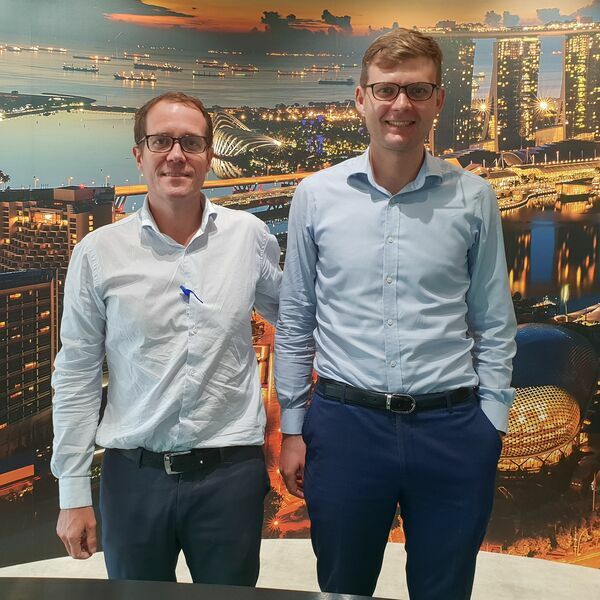 Prior to the role of Country President Singapore, Damien led the end-to end Supply Chain organisation for Schneider Electric in East-Asia Japan and Pacific across 18 countries. He first joined Schneider Electric 23 years ago, and had since held various positions in the Supply Chain function of manufacturing, logistics, as well as procurement and sourcing. Having lived in Asia for 14 years, Damien has diverse experience in the region; he moved to Singapore in the summer of 2013 after spending four years in Bangalore, India, and five years in Shanghai, China. Damien holds an MSc in Electrical Engineering from ISEN, as well as an MBA from the EDHEC Business School in France.